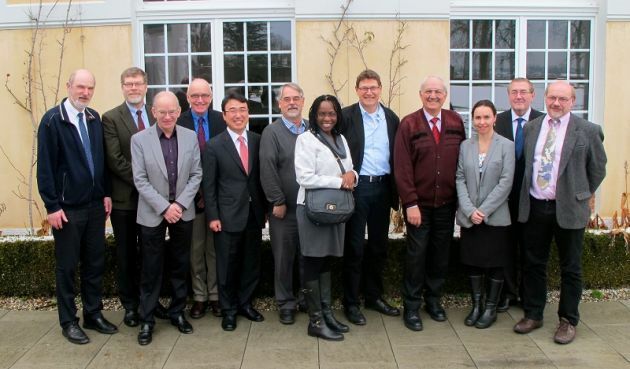 The World Evangelical Alliance (WEA) and the World Council of Churches (WCC) met in Switzerland last week to discuss plans for collaboration in the near future. Representatives from both groups stayed for two days at the Chateau de Bossey where they introduced their respective organizations, reflected on current church developments, and shared stories of faith. As reported in a joint press release by the WEA and the WCC, both groups made significant progress in identifying various ways of responding to the needs of Christian communities throughout the world. They also agreed to conduct additional meetings in the future to continue the discourse. Several key members from the WEA and the WCC were present at the meeting. Among those representing the WEA were Dr. Wilf Gasser (Associate Secretary General), Gordon Showell-Rogers (Associate General Secretary), and Thomas Schirrmacher (Executive Chairperson). WCC representatives included Georges Lemopoulos (General Secretary), Dr. Isabel Apawo Phiri (Associate General Secretary), and Rev. Ioan Sauca (Associate General Secretary). The WEA and WCC, along with the Vatican Pontifical Council on Inter-religious Dialogue (PCID), previously collaborated together back in 2011 when they launched a joint document entitled "Christian Witness in a Multi-Religious World". The document lists twelve principles for proper Christian witness and offers six recommendations pertaining to religious identity and faith. Among other things, the principles offer guidelines on how to renounce false witness, ensure personal discernment, and build interreligious relationships. PCID President Jean-Louis Cardinal Tauran, as reported in an article by Christian Today, termed the crafting of the document as a historic moment for the three organizations, which combined represent over 90% of the Christian population worldwide. He added that it is important to find a "common voice" as a response to challenges proclaiming the Gospel and to efforts in privatizing faith. The document was crafted and refined over a period of five years by representatives from all three organizations.